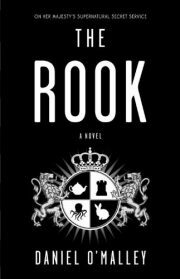 Daniel O’Malley’s 2012 debut novel The Rook is the first book in the Checquy Files series. Myfanwy Thomas’ memories go back only hours, to the moment when she found herself surrounded by dead assailants. Before that, another Myfanway occupied her body, a Myfanwy whose personality (and more importantly, limitations) were quite unlike the woman who formed from the remnants of that Myfanwy’s mind. If only Myfanwy knew who mind-wiped her. If only the list of suspects were not so long. Or the suspects so powerful.